How many of you love to read books ? Often we get disturbed while we are in the middle of reading. Thats why we need a bookmark. 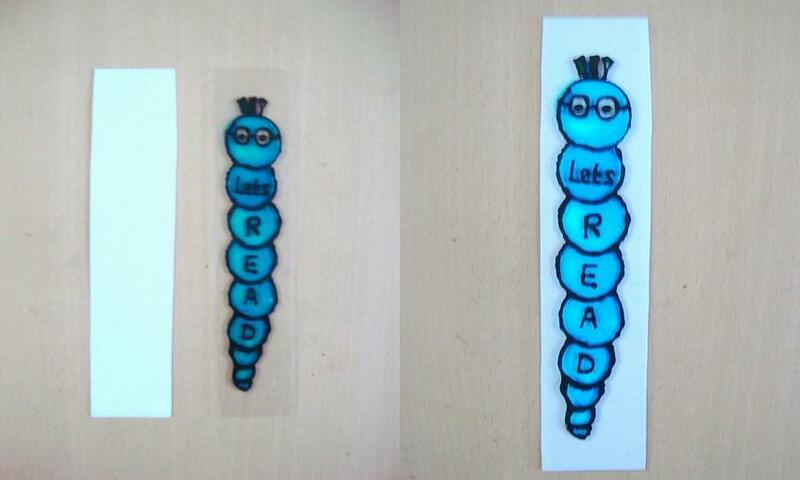 I will show you how to make your own bookworm bookmark using glass painting. These make a simple and useful gifts for those who love reading. Cut out a rectangle OHP sheet. 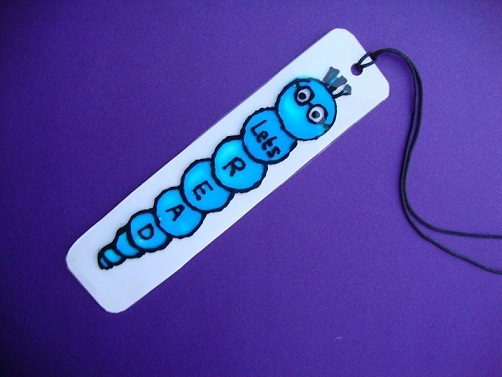 A reasonable size of a bookmark.You want exact dimensions ? Ok Cut it in the size of 16cm x 3.5cm. Now cut a white cardstock/chart of exactly the same size. 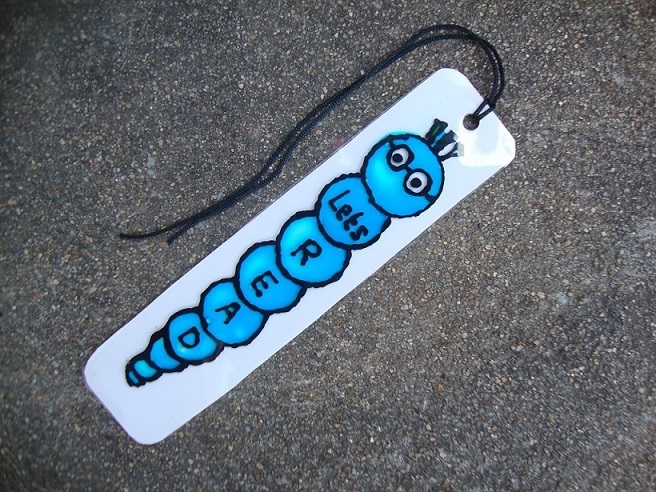 Draw the book worm design on the OHP sheet with white board marker. Reverse it and trace the design with black glass liner. Once it is dry fill it with glass colour paint. I used Seablue colour. You can chose any colour of your choice. Now again let it dry for 30 mins. Reverse the OHP sheet and stick it on the card stock piece with glue. Wipe off the marker drawing in the front side of the OHP sheet. How is it ? 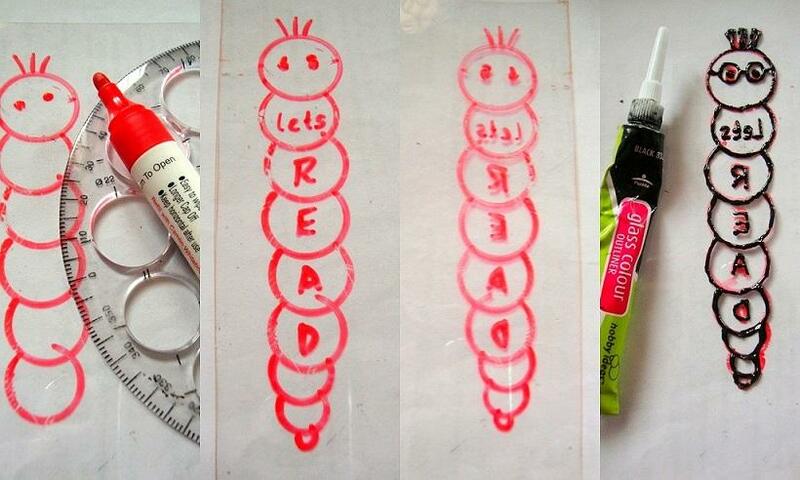 Same way you can try different patterns of Bookmarks.